Since 1 December 2000 the Welfare Reform and Pensions Act 1999 (WRPA 99) has allowed a couple on divorce or nullity of marriage, the option of pension sharing and the court can grant a pension sharing order against the members pension rights in a pension arrangement. A pension sharing order will allow the couple on divorce a clean break, unlike an earmarking order against retirement benefits that will be activated at the retirement age of the scheme member. The pension sharing order must be issued after the decree nisi but will only be implemented after the decree absolute in the case of divorce or decree of nullity as specified in the section 24B of the Matrimonial Causes Act 1973 (MCA 73). The pension sharing order will create a pension debit against the retirement benefits of the scheme member and the former spouse will receive a pension credit of the same value. This pension credit can be used as an internal transfer to the existing scheme if this is permitted such is the case with an unfunded public service scheme, and this will create a separate pension arrangement in the name of the former spouse. Alternatively an external transfer will allow the pension credit to be moved to a separate pension arrangement as chosen by the former spouse. If the pension is to provide an income straight away and it is defined benefit scheme, the scheme administrators would establish payment of this income in accordance with the scheme rules including any reductions due to early retirement. If it is a money purchase scheme, whether an internal or external transfer, the former spouse can use the fund to buy an annuity and has the option to use an open market option to search for the highest pension annuity. Once you have purchased an annuity it cannot be changed, so learn more about annuities, compare annuity rates and before making a decision at retirement, secure a personalised annuity quote offering guaranteed rates. The procedures for pension sharing are specified by subordinate legislation through regulations and are similar to those of earmarking. When the court makes a pension sharing order it must send to the member with the pension rights within 7 days of granting the order or 7 days after the decree nisi in divorce or decree of nullity. On receiving notification of a pension sharing order the member of the pension arrangement must within 7 days request the initial valuation and information from the pension provider. The provider must furnish within 21 days to the court or scheme member information on the pension arrangement and if they fail to provide the information they could be fined by the occupational pensions advisory board (OPRA) for the breach of the requirements. The provider will have six weeks to make the valuation of the members pension rights or accrued retirement benefits. The valuation requested will be the cash equivalent transfer value (CETV) and in England and Wales this will also include retirement benefits accrued prior to the marriage. Once the court has determined the percentage allocation to a pension credit to the former spouse the provider of the pension arrangement will have four months to action either an internal transfer, which for example is the only option for an unfunded public service scheme, or if this option is not permitted to make an external transfer. In many cases the spouse will be at retirement age and the share of the pension fund will be to provide a pension income. Where the scheme is money purchase such as a stakeholder or personal pension, the spouse can use the fund to buy an annuity and has the option to use an open market option to search for the highest pension annuity. Once you have purchased an annuity it cannot be changed, so learn more about annuities, compare annuity rates and before making a decision at retirement, secure a personalised pension annuities quote offering guaranteed rates. A pension sharing order can be made against all types of occupational pension scheme such as a final salary pension, additional voluntary contribution (AVC) scheme or an unfunded public service scheme. An order can be made against a private pension scheme such as personal pension, stakeholder pensions, retirement annuity policies (RAPs), buyout policy or replacement policies and the state earnings related pension scheme (SERPS). A pension sharing order can also be made against the value of overseas pensions as part of the financial settlement although offsetting may have to be considered if the legislation governing the pension arrangement does not allow a pension sharing option. Excluded from the scope of pension sharing is the basic state pension, pre 1975 contracted out equivalent pension benefits if these are the only rights of the pension arrangement, widows pension rights and dependents pension rights if they are in payment. Under the Pensions on Divorce etc (Provision of information) Regulations 2000 only the cash equivalent transfer value (CETV) is required by the court for the valuation of retirement benefits. However, other methods could include past service reserve and the fund value in order to arrive at an adjusted CETV that reflects the circumstances and specific needs of the parties on divorce. As a result of the landmark case White v White (2000) there is a strong emphasis that on divorce, deciding on the division of matrimonial assets and financial matters should begin with and assume an equal share between the parties with the final determination being expressed as a percentage of the retirement benefits valuation. The introduction in the Pensions Act 1995 of earmarking was seen as inadequate by matrimonial lawyers as a members pensions rights were earmarked at retirement age, resulting in the couple on divorce remaining financially linked until that date. The term pension splitting was seen as the preferred method by campaigners for reform of the rights of the former spouse to achieve a clean break in divorce. Since 1 December 2000 this term has been superseded and is known as pension sharing. Where a scheme member wishes to change from an existing pension scheme to a new pension scheme, a pension transfer of member rights will facilitate this move. During the early 1990s pension transfers became controversial as regulation became more effective and the Financial Services Authority (FSA) revealed in the pensions review that a substantial number of individuals were advised to transfer their pension rights from final salary pensions to personal pensions and section 32 policies. Poor advice was given because clients did not understand the implications of a pension transfer or the advice given was wrong and the client suffered financial loss. To give advice on pension transfers from occupational pension schemes independent financial advisers (IFA) must be authorised by the FSA, formally the Personal Investment Authority (PIA) and hold a recognised qualification such as G60 Pensions or equivalent, as per the permitted activity 13 rule specifies. Pension transfers from money purchase to money purchase such as a stakeholder pension are more common where there are no early encashment penalties and the reason for the transfer is to change the underlying investment mix or to manage the pension or actively such as in a self invested personal pension (SIPP). A transfer would also occur where on retirement the individual needs to use a pension fund to buy an annuity and has the option to use an open market option to search for the highest pension annuity. 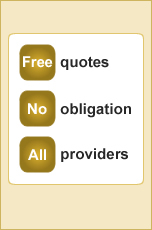 This would result in a transfer to a new provider that would pay the annuity, however, once purchased the annuity cannot be changed, so learn more about annuities, compare annuity rates and before making a decision at retirement, secure a personalised pension annuities quote offering guaranteed rates. On divorce, there must be advice given by an IFA even if the transfer is as a result of a pension sharing order granted by the court and where dual membership is not permitted by the scheme rules. This means that an internal transfer is allowed and the pension credit to the former spouse must then be applied as an external transfer to another pension arrangement. A person that is authorised by the Pension Schemes Office (PSO) and is responsible for overseeing the management and regulation of small self administered schemes (SSAS) is known as a pensioneer trustee. Since 17 March 1998 a pensioner trustee is not allowed to resign without immediate replacement by another pensioneer trustee, except on the death of a trustee, if removed by an order of the court, acts in a fraudulent manner in relation to the scheme or is no longer approved by the board.